As an active ketogenic dieter, you most likely incorporate coconut oil into your diet. If you don’t, you should, as coconut oil can provide the body and mind with a plethora of benefits. But if you’re serious about maintaining an optimal weight, increasing energy, and mental clarity, you should incorporate MCT oil on keto diet. Dietary supplements like MCT oil helps in regulating your cholesterol and blood sugar levels and has several health benefits. MCTs are medium-chain triglycerides, a type of saturated fatty acid that is much easier to digest than long-chain triglycerides and considered a source of pure fuel for both the body and brain. That means MCTs provide plenty of energy without the addition of calories. The best source of MCT is coconut oil, as approximately two-thirds of the fatty acids found in coconut oil make four strains of MCTs: Caproic acid (C6), Caprylic Acid (C8), Capric Acid (C10) and Lauric Acid (C12). Unfortunately, the typical American diet doesn’t include many MCTs, partly because of the public’s misconception of saturated fats being bad for the body. But there is plenty of research out there to back up the fact that saturated fats can actually be a good source of fat, and MCT oil is one such fat that should be regularly consumed every day. The science behind healthy saturated fats like MCTs is that by consuming this type of fat, the body quickly absorbs and breaks it down for energy. In comparison, longer-chain fats such as butter, olive oil, and animal fat take much longer to be metabolized and are stored as body fat instead. While coconut oil is a fabulous source of MCTs, there’s a reason why you might want to incorporate MCT oil into your diet over coconut oil. The biggest difference between MCT oil and coconut oil is the MCT content. As mentioned earlier, coconut oil can be comprised of as much as 65% MCTs. However, MCT oil is made entirely of MCTs. Not only that, but coconut oil contains all medium-chain fatty acids, including lauric acid, which is considered to be the least efficient MCT because it is not converted into energy as fast as the other medium-chain fatty acids. As such, you won’t usually find high concentrations of lauric acid in the best MCT oil products on the market. There are plenty of reasons why you might want to add medium-chain triglycerides into your daily diet regime, including the following. Since the brain is predominantly comprised of fatty acids, it needs a regular dose of fat in the diet in order for you to have mental clarity, especially as you age. Since MCTs are the most easily digested fats that also offer some level of protection to the brain, consuming them on a regular basis can help to improve your overall cognitive abilities. In fact, some studies even suggest that MCTs can help improve memory issues associated with Alzheimer’s disease. MCTs have been found to increase ketone levels, which is why MCT oil has become such a popular supplement for those following a ketogenic diet. Ketones provide a source of energy to be used by the body so that fat is burned rather than glucose. MCTs can protect the heart by inhibiting the development of metabolic syndrome, which incorporates several metabolic disorders, including abdominal obesity and impaired glucose tolerance. MCTs can help reduce the odds of obesity and the health issues that go along with it, thereby helping to reduce cardiovascular disease. MCTs are great for maintaining the proper balance of bacteria in the gut, thereby helping to improve digestive system. Medium-chain fats kill off many harmful bacteria that are associated with digestive problems while helping the body better absorb vitamins and minerals from foods consumed. MCTs can help you feel fuller for longer, which means you’re more likely to eat less when consuming this oil supplement. But weight loss effects can go far beyond that. MCT oil can also help to increase the body’s metabolic rate and fat oxidation. Protect against viruses and bacteria. MCTs are potent antibiotics that can kill harmful types of bacteria, including streptococcus and staphylococcus, among others, without killing off the good bacteria in the gut. 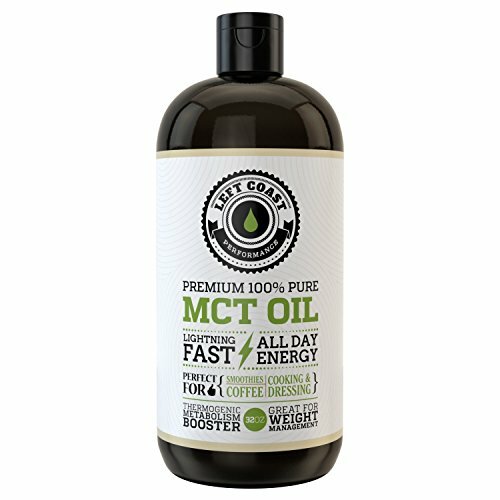 Are There Any Side Effects of MCT Oil? MCT oil is safe for the majority of people, and there have not been any known adverse reactions when taken with medication. That said, there have been some minor side effects reported by users, especially when consumed in large doses. However, these side effects can be averted if you start off slowly with very small doses and work your way up as your body adjusts. Generally speaking, it’s recommended to start off with a small dose of about 1 teaspoon and gradually increase dosage over time in order to avoid any uncomfortable side effects. Pure MCT oil is a flavorless, odorless, clear liquid that can be consumed in a number of different ways. Straight up. Many people consume MCT oil right from a spoon, which is the quickest and easiest way to take it, especially if you’re in a hurry. Mixed with coffee. 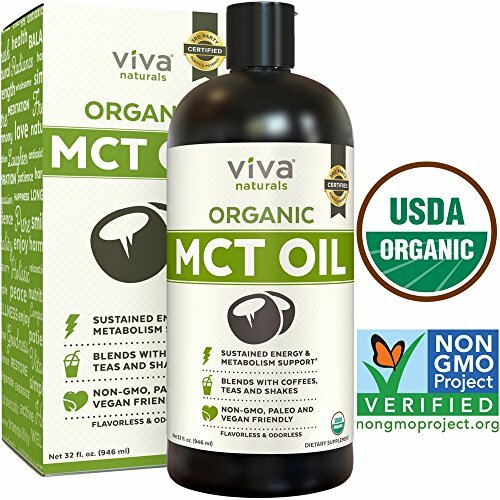 A popular way to consume MCT oil is by adding it to your morning coffee as a coffee creamer. It is also referred to as “bulletproof coffee.” Some people even add a pat of butter and mix it in a blender for a frothier drink. Blended in smoothies and shakes. In addition to coffee, MCT oil can also be added to your protein shake or fruit smoothie. Added to guacamole. Guacamole is already loaded with healthy fats thanks to the avocados in it, and adding a bit of MCT oil to it can give an extra healthy boost for you to take advantage of. Added to salad dressings. Simply drizzle some MCT oil to your favorite salad dressing to give your meal an energy-boosting kick. There are also some MCT oil products on the market that come in powder or capsule form if you’re not a fan of the concentrated oil of traditional formulas. So, now that you’ve got a grip on what MCT oil is and how it can benefit your mind and body, what are some of the best MCT oil products out there? Here’s a rundown of the best MCT Oils you need to get when on a ketogenic diet. 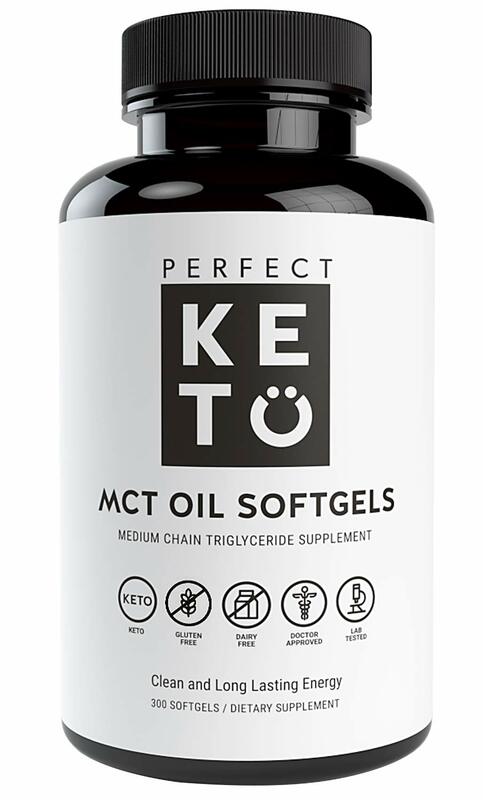 The Perfect Keto MCT comes in oil formulas as well as soft gels, offering flexibility depending on how you’d prefer to take your MCT oil. Perfect Keto is one of the more highly regarded MCT oil products on the market. It contains 100% triglycerides and has powerful antimicrobial properties that encourage the optimal cleansing of the gastrointestinal tract. Perfect Keto’s C8/C10 MCT oil blend contains two MCTs that quickly turn into ATP, the main energy carrier in the cell. It contains the perfect ratio of short-chain caprylic acid C8 and capric acid C10 at 30% and 70%, respectively. These short chain MCTs convert quickly into energy to fuel both the body and the brain. 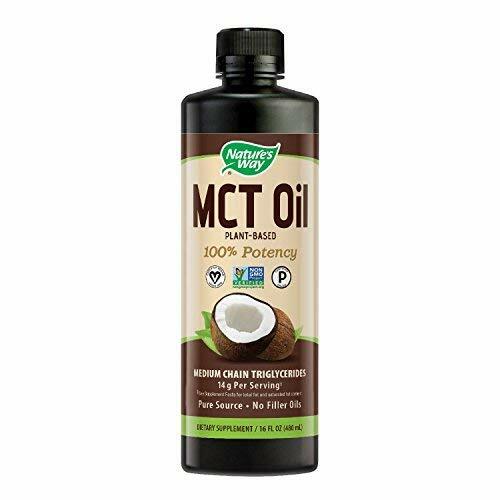 I particularly love this MCT Oil for many reasons: it’s packed with benefits and I can add it on my meal replacements, coffee or in any recipe I’m preparing. This product contains 100% pure MCT oil harvested from coconuts and contains no palm oil. There are no fillers, additives, or artificial flavors, and the oil is tasteless and odorless, making it perfect for adding to protein shakes, smoothies, coffee, and even your favorite salad dressings. It also contains Lauric Acid, Caprylic Acid and Capric Acid which is a great addition to the keto diet. If you do not like the flavorless version, Onnit also makes MCT Oils with a range of flavors, including creamy vanilla, pumpkin spice, cinnamon swirl, creamy strawberry, and creamy coconut. Though priced slightly higher than other MCT oil, it’s high performance keeps the standards. This product is designed to get your ketones high very quickly while filling your belly and providing you with a delicious treat. This a great go-to source of MCT oil to add to your health and fitness regime and to help get you into ketosis quickly to burn stubborn body fat. 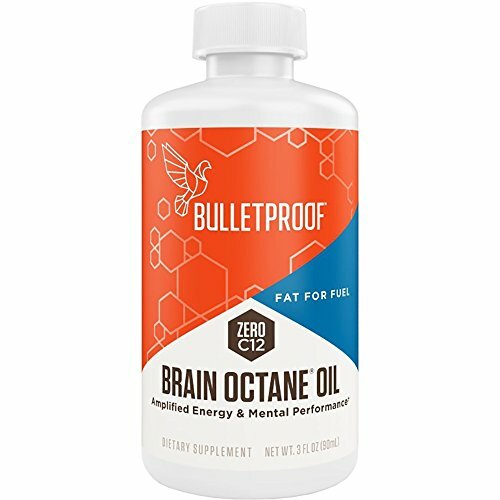 Brain Octane MCT Oil is made using a specialized triple distillation process using only water, heat, and pressure. This MCT Oil is free of chemicals and solvents. Shortly after consuming this oil, you’ll feel a rush of energy that lasts for hours as it is quickly absorbed and changed into ketone bodies. Only the best parts of the coconut are used to create this product, which helps break down more effectively into ketone energy compared to traditional coconut oils. Needs to be consumed in right amount to avoid discomfort. 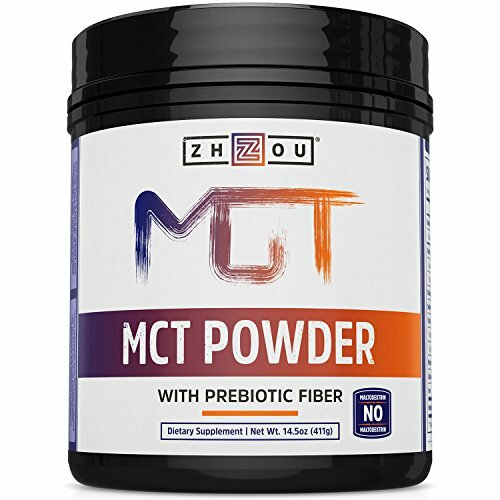 Zhou’s MCT Oil Powder makes it easy to mix in with smoothies, protein shakes, juices, and any other beverage you can think of. It’s got prebiotic acacia fiber for an added boost of fiber in your daily diet. The creamy texture and lack of bulking or clumping of this product make it much more palatable and easy to mix. You can even add it to your favorite baked goods recipes. This MCT oil product is developed in an FDA-inspected facility, constantly being tested to ensure that the end product is high-quality and safe. It also has zero net carbs, making it a perfect MCT Oil for keto diet. Reported side effects include stomach upset. Nature’s Way is known for making great products using top-notch ingredients and based on science-backed formulas. The company prides itself on creating products while sticking to current Good Manufacturing Practices (GMP), so you can rest assured knowing that you’re getting a quality product. 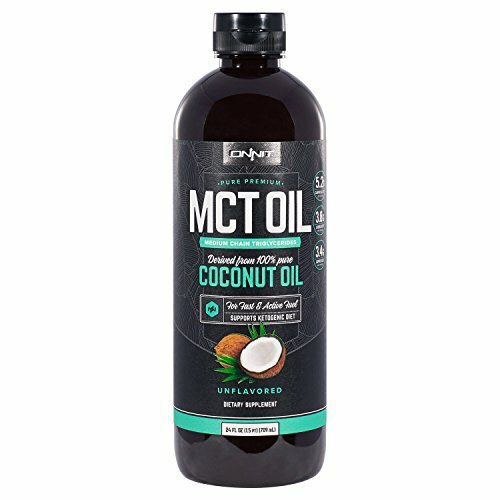 This MCT oil product features 100% MCTs from coconut oil for maximum potency and is void of any useless and potentially harmful fillers. This oil is made with the highest-quality, select coconuts. Each 14g serving contains both caprylic and capric acids, which have strong antiviral and antimicrobial properties and provide a boost of long-lasting energy. Mix this oil into shakes, smoothies, coffee, and other drinks, or just take it straight up by the tablespoon! Sports Research MCT Oil contains the full spectrum of MCTs and is loaded with goodies and is easy to mix in any of your favorite beverages. This is what makes this product one of the best-selling MCT Oils out there. It’s tasteless and odorless, so you won’t have to worry about having to mask it with other flavors. The company also provides third-party testing, so you’ve got the opportunity to review the certificate of analysis to check out the product from a scientific and laboratory point of view. The healthy fats it contains helps you achieve ketosis in no time. Unlike other MCT Oils, it promotes gut health and reduces “bad bacteria” by improving your digestive functioning and intestinal health. Some might experience diarrhea during initial use. Left Coast Performance MCT Oil is made from pure organic coconut oil without the use of palm kernel oil. This product contains caprylic acid, which is known for its ability to kill off harmful candida cells and restoring normal levels of acidity in the stomach. The company triple filters its MCT oil to ensure that the product is as pure and high-quality as possible. Left Coast promises that its MCT oil converts into useable energy much faster compared to other oils, encouraging the maintenance of healthy cholesterol levels and a faster metabolism. If you’re consuming MCT Oil for the first time, make sure you only start with 1/2 tsp to avoid stomach discomfort. Stomach discomfort if consumed higher than dose. This MCT formula is a very interesting alternative to traditional MCT oil products, as it’s not a blend nor a pill. MiCkey T Eight MCT oil is a pure oil, which is ideal for those who have an issue with either powders or softgels. It has no taste or odor, it’s lightweight, and can be blended in any beverage including your morning coffee. MiCkey T Eight is 100% pure C-8 caprylic acid MCT oil, which is better for the body as it allows the MCT to be metabolized by the liver into ketone bodies much faster to be burned for energy. Science has shown that C-8 is approximately 30% more ketogenic compared to C-10, making this MCT oil among the more potent supplements available. This odorless and tasteless MCT Oil is easy to mix with your favorite drinks and salad dressings. Even those with the most sensitive palate will find Viva Naturals MCT oil enjoyable. It’s void of any fillers, artificial flavors, or additives, and is extracted from 100% organic coconuts. These are great supplements for those who want to get back to ketosis after a cheat meal. It’s also made with 100% organic coconut oil and supports increased energy, stamina and mental health. Perfect for the active lifestyle, Zenwise Health MCT oil provides just the right amount of energy without the jitters that usually accompany caffeine consumption. This MCT oil is extracted from 100% pure coconut oil and consists of 4.5g capric acid and 9.2g of caprylic acid per serving. There are no solvents, fillers, artificial flavors or sweeteners, or nasty odors. It also blends very well, making this product very palatable and a pleasure to consume with your favorite beverages. It also supports healthier digestion by promoting balanced bacteria in your gut and improving mineral and vitamin absorption. While you could always add regular coconut oil into your diet for a healthy dose of fats and a boost of energy – and you should – adding a pure MCT oil product can provide you with plenty of extras. There’s plenty of scientific evidence out there to back up the powerful benefits that MCT oil can provide your mind and body with. From increased mental clarity to improved body composition, MCT oil is a potent type of fat that can do wonders to improve your overall health and wellbeing.